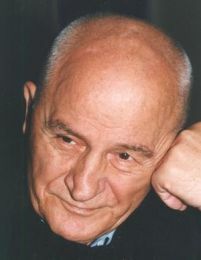 Octavian Paler (July 2, 1926 – May 7, 2007) was a Romanian writer, politician, journalist and civil society activist. and later on to look into the ashes of them. We have time to get gifts and not understand them. But we don’t have time for a little kindness. When one does they are dying. I learned some important things in my life and I would like to share them with you. I learned that you can not make somebody love you. All you can do is to be a lovely person, the rest … depends on others. I learned that it does not matter how much I care, others don’t. I learned that it takes years to win somebody’s trust and it takes just a few seconds to lose it. I learned that doesn’t matter what you HAVE in lif, all that matters is with WHOM you have it. I learned that in the first 15 min you can impress somebody by using your charm after that you have to come up with something smart. I learned that you don’t have to compare yourself with what other people are best at you have to find out what is your best. I learned that it does not matter what happens to people, what matters is what I can do to help. I learned that each episode has two faces. I learned you should part lovingly from those you love, It may be the last time you have the opportunity to see that person. I learned that you can run a long time after you said that you are exhausted. I learned that heroes are people who do the right thing when it is needed not caring about the consequences. I learned that there are people that love you but they do not know how to show it. I learned that when I am upset I have the right to be upset but I do not have the right to be mean. I learned that you can have long distance friendships, the same applies to love. I learned that if somebody does not love you like you wish, It does not mean he or she does not love you from the bottom of their heart. He or she will occasionally hurt you and you will forgive it. I learned that it is not enough to forgive others sometimes you have to forgive yourself. I learned that regardless how much you are suffering the world will not stop. I learned that your past can have an impact on your personality but you are responsible for what you are going to become. I learned that, if two people get into a fight it does not mean they do not love each other. And the fact that they do not fight does not mean they love each other. I learned that sometimes you have to put the person first and not their actions. I learned that two people can see different sides of the same incident. I learned that indifferent of the consequences those who are honest with themselves are the winners in life. I learned that your life can be changed by strangers in a few hours. I learned that when you think you have nothing to give your friend can call for help, and you will find the strength to help him. I learned that talking and writing can help to heal your pain. I learned that is very hard to know when to be nice so you do not hurt people but you still sustain your opinions. I learned to love so I can be loved in return.